An investigative report in this newspaper last month revealed that the alignment of the proposed East-West Electric Railway and the upgradation of the Hulaki Road would go right through the Chitwan National Park. The story has set off a stormy debate in the online feedback section. While the infrastructure development projects are welcome for mass transit and to generate employment, they cannot be at the expense of the environment, especially if the new construction would jeopardise the livelihoods of many who depend on park resources. The proposed railway could be turned into a win-win opportunity if the government embraces the concept of sustainable development. In fact, the Government of Nepal had endorsed the Sustainable Development Chitwan National Park Agenda for Nepal (2002-2017), which also stated to build and operate passenger and cargo railroads connecting the major urban areas of Nepal. Nepal’s East-West Highway is a lifeline for the country and the only transport link for major cities in the Tarai where over 50 per cent of the population lives. But the highway alone is not adequate to meet the needs of greater economic activity of an expanding population. Generally, major mass transit arteries in developed countries such as roads and railways are built in parallel to minimise the impact on nature areas and wildlife bridges are built to preserve animal migration routes. The most practical and least disruptive alignment for the proposed railway would be to follow the track of the present East-West Highway. While the leaked Detailed Project Report prepared by the Department of Railways proposes that one of the alignments follow the Hulaki Road through Chitwan National Park, a comprehensive environmental and social impact study has not been conducted yet. It is too early to say anything until the study is carried out which will determine the degree of impact from the proposed project. Consultations with concerned stakeholders and the public hearing process will bring fresh thoughts to ensure the sanctuary, which is home to our flagship species such as tigers, rhinos, elephants, and birdlife, is not disturbed. 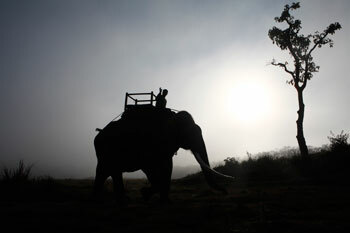 The park is also the only world heritage site under UNESCO World Heritage List in the plains of Nepal. Chitwan was recognised in 1984 for its outstanding natural importance to the common heritage of humanity and it is our national treasure. The argument of the Department of Railways that cutting through the park would save 30km is absurd. Such short-term gain cannot compare with the long-term impact on the environment and Nepal’s conservation achievements. Protected areas such as national parks, wildlife reserves, conservation areas, and hunting reserves are a mainstay of biodiversity conservation in Nepal, while also contributing to people’s livelihoods particularly at the local level. Protected areas are at the core of efforts towards conserving nature and the ecosystem services they provide us: food, clean water supply, medicines, and protection from the impacts of natural disasters. Their role in helping mitigate and adapt to climate change is also increasingly recognised. More than 150,000 tourists visited Chitwan National Park in 2013 generating over Rs 177 million from entry fees alone and there are many other direct and indirect benefits. Nepal embarked upon a modern era of protected area management with the enactment of the National Parks and Wildlife Conservation Act in 1973 and Chitwan was the first and iconic reserve in the country. It is vital to coordinate between government agencies, private sectors, and non-government organisations to find a practical solution to this new threat. Let’s not forget the saying: ‘When the last tree is cut, when the last river has been poisoned, when the last fish has been caught, then we will find out that we can’t eat money.’ After all, parks are for people and the planet and conserving them for the benefit of present and future generations is also our common responsibility. BP Koirala is remembered, but wouldnt have approved. Raising the profile of number crunchers.Cashing in on Everest. "Journalists reduced to being government mouthpieces."